Pisco Trail is back from a 2 week culinary adventure in Peru, and I have many stories to share with you. But first, I need to get ready for the upcoming International Food Blogger Conference in Seattle this weekend. 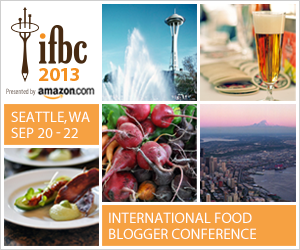 This post is the first of a 3-part series on this year’s IFBC 2013. My first IFBC was 3 years ago in New Orleans, and instantly I felt that I had arrived home. Where else could I meet others who wanted to do nothing else than talk about food and drinks? Well, not just talk, also sample local treats, attend cooking demos, learn about food photography, brush up on our tech and SEO skills, and paint the town wine-red. That’s right, nowhere else. This year, I am going back to IFBC for more. To learn more about food sustainability, to meet more people who are passionate about food and drink, to reconnect with old friends, to make new ones, and to discover for myself what makes Seattle such a great destination for food lovers. Of course, I may need to seek out a Pisco bar or two in the process. I am also really excited for the Urbanspoon Dine-Around Dinner. A surprise Saturday supper at a secret location with a tasting menu from one of the top restaurants in Seattle? Why, yes please. Stay tuned for part 2 in this series, which I will post this weekend from Seattle. At this year’s IFBC, food bloggers were offered a discount in exchange for writing 3 posts about the conference. 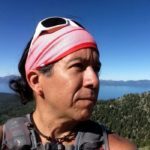 These posts and the content are of my own choosing, and I am grateful to IFBC for making it possible to attend the conference.